Nowadays a G Class Mercedes seems most popular with rappers and (wannabe) pimps. Particularly when fitted with a humongous engine (G63 and G65 AMG), it definitely has a lot of ‘street cred’. But a G Class was never designed for street credibility. It was designed to go off the streets. It isn’t used by countless armies in the world to carry troops and guns through difficult terrain for nothing. 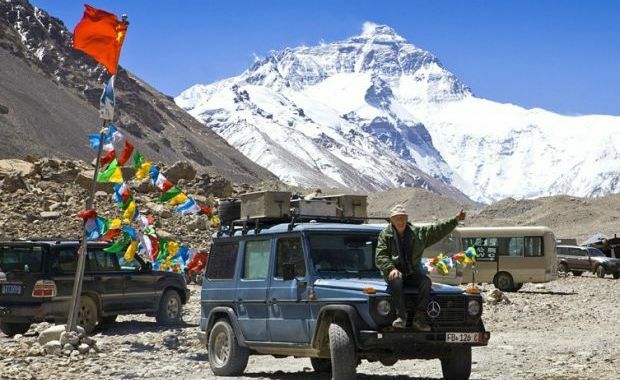 In fact, the ‘G’ stands for ‘Geländewagen’, literally meaning off-road vehicle. So, as a matter of fact, a G-wagon isn’t intended to carry your bling around and go to champagne, caviar and chicks parties with. It’s that simple. 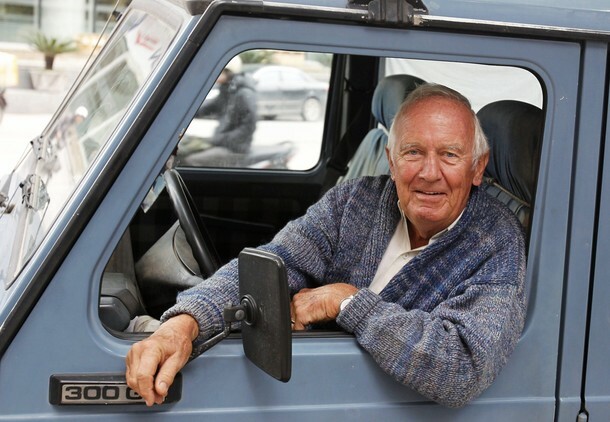 Meet Günther Holtorf and his car Otto, a G Class. 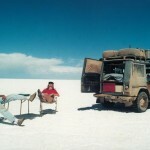 Otto is a 1988 Mercedes 300GD, a diesel. With its 85 horsepower it’s as slow as a snail in a wheelchair. But Otto has other merits: endurance. 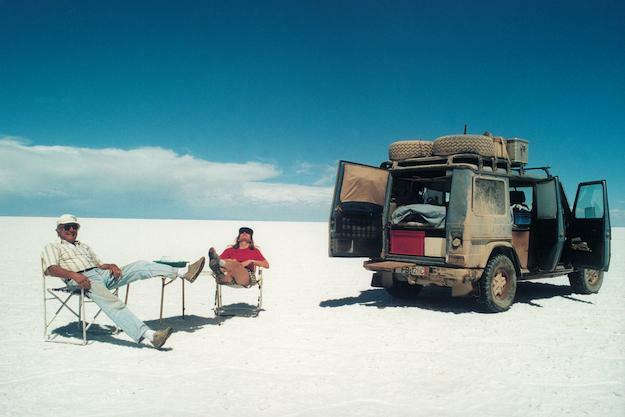 To celebrate the fall of the Berlin Wall in 1989, Günther, his wife Christine and Otto depart for an 18-month road trip across Africa. They never stopped. 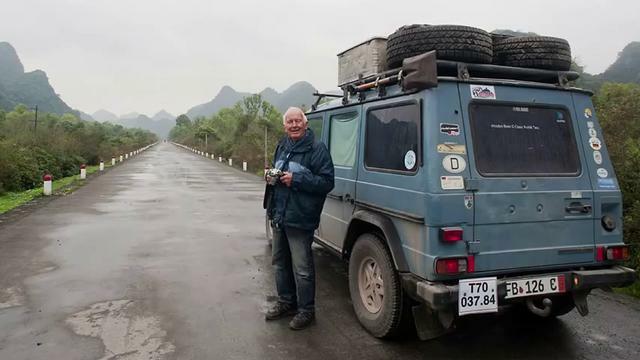 Günther is now 74 years old and his wife recently passed away, but the road trip still continues, having passed more than 200 countries and every continent. 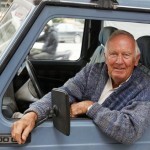 Otto has seen over 800,000 kilometres, or 500,000 miles, of the world’s roads and off-roads and is still going. 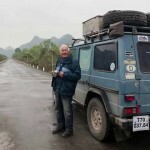 With full supplies and packing, the car weighs well over 7,000 pounds and it’s all pulled by the very modest, but very strong 3-litre diesel. 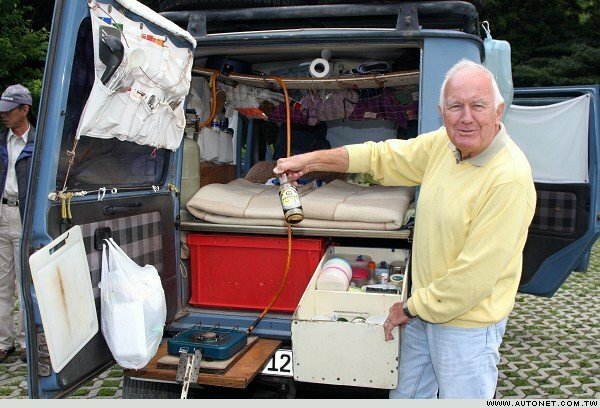 Günther has everything on board; the car is his home. 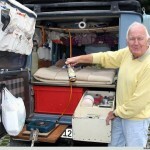 It has a bed, even a shower and about 1,100 pounds of stuff on the roof. Much of the stuff on the roof consists of genuine Mercedes parts. When something breaks, Günther plays the grease monkey himself. However, not a lot ever breaks. Try that in a modern day ‘SUV’! 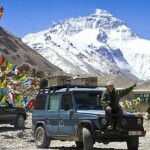 Mr. Holtorf says he will drive around the world for one more year. After that, Otto is promised a nice position in the Mercedes museum in Stuttgart. Which terrifying road would you choose to drive down? This entry was posted in News and Views and tagged Africa, AMG, Berlin Wall, car, mercedes by The Flying Dutchman. Bookmark the permalink.